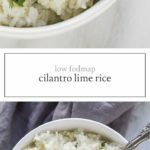 Low FODMAP Cilantro Lime Rice is the perfect base for a burrito, stir-fry, or curry. 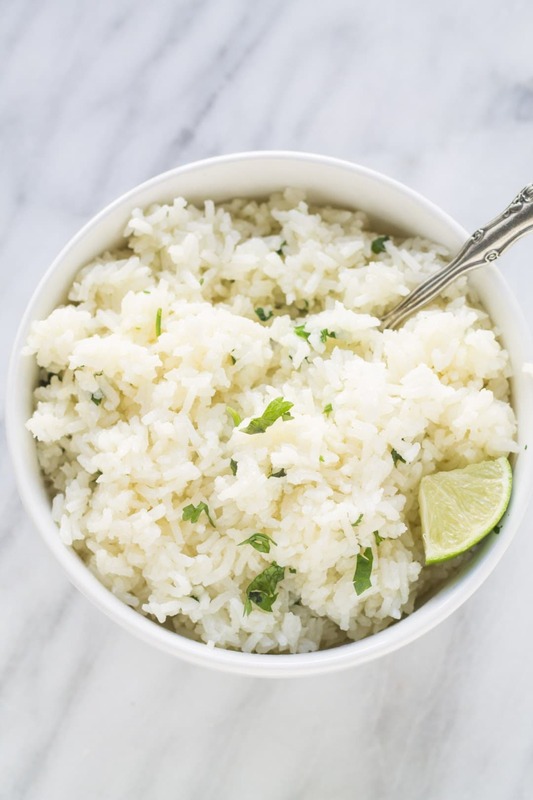 Based on my favorite Chipotle staple, this Low FODMAP Cilantro Lime Rice is not only great for building burrito bowls, but also served under curries or stir-fry. Personally, I prefer to use white basmati rice in this recipe, which I’ve based the instructions on. However, if you’d like to use whole grain brown basmati rice (it is also low FODMAP), just increase the cooking time to the package’s recommendations (usually 35-45 minutes). 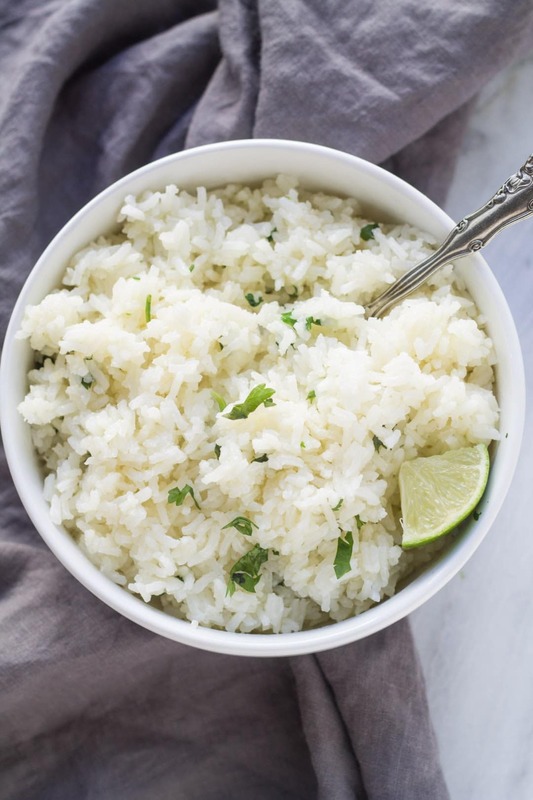 Low Fodmap Cilantro Lime Rice is the perfect gluten-free, vegetarian and vegan base for a burrito bowl, stir-fry or curry. Place 1 Tbsp olive oil in a medium pot over medium heat. Add rice and saute, stirring constantly, for two minutes. Add water, cover and bring to a boil. Once boiling, reduce heat and let simmer for about 15 minutes or until water is absorbed. Remove from heat. To the rice, add remaining 1 Tbsp. olive oil, lime juice, cilantro, and salt. Stir to mix well and serve. Absolutely love making with the carnitas!